While it seems like yesterday in 2011 that John Marazzi joined Morgan Auto Group, in a short amount of time the successful General Manager (and now our partner) has done quite a bit. He's shattered store records in regards to Service, New Car Sales and Pre-Owned Sales all the while focusing on his online reputation and customer satisfaction. Just in 2014 alone Brandon Honda has been acknowledged and recognized by three separate awards. The best news? One is the prestigious American Honda "President's Award" and the other two are based on online consumer ratings. 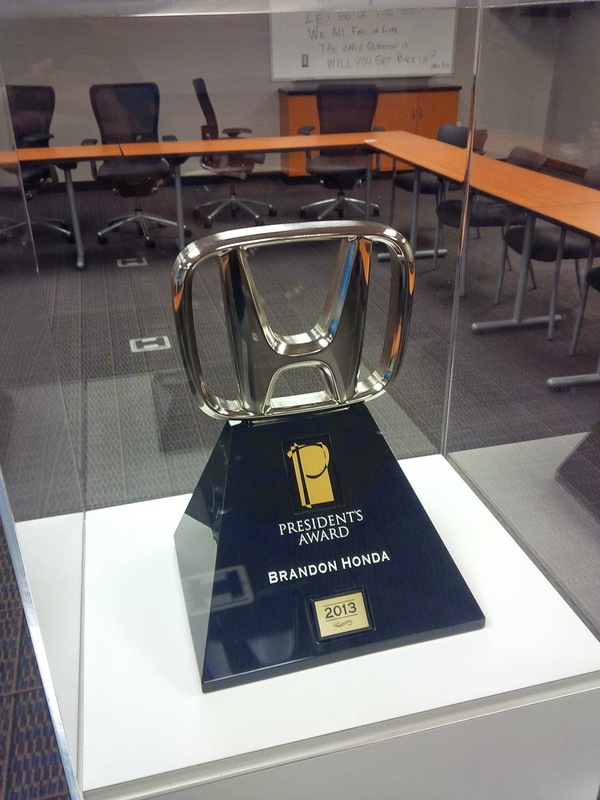 Brandon Honda is now the winner of the American Honda President's Award, was the 2013 Dealer of the Year for DealerRater.com and also an Edmunds.com "5 Star Dealer." We look forward to following John’s success here in Tampa after an award winning career in Naples and Fort Myers (Ft. Myers, FL). Keep it going John! I remember the day I met him at while he was at the helm of Ft. Myers Toyota and still recall that first impression of a deeply motivated, very personal and hands on leader!